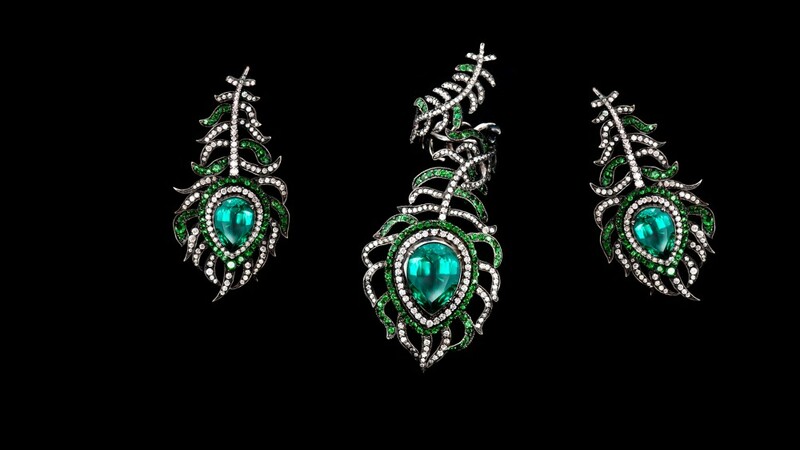 These bejeweled with diamonds regal works of jewelry in the shape of peacock feather with the ‘eyes’ made of large Columbian emeralds would be envied even by the Queen of Sheba and Cleopatra! Only the sister-wife of the Supreme Inca, who was supposed to be the carnal incarnation of the Moon, could wear such gems. And not by accident, emeralds, that possess extraordinary magic energy, are a symbol of wealth and power.